Pentaceratops. Measuring 7.5 meters in its length and standing 2.5 meters tall, the Pentaceratops was one of the largest ceratopsid dinosaurs. 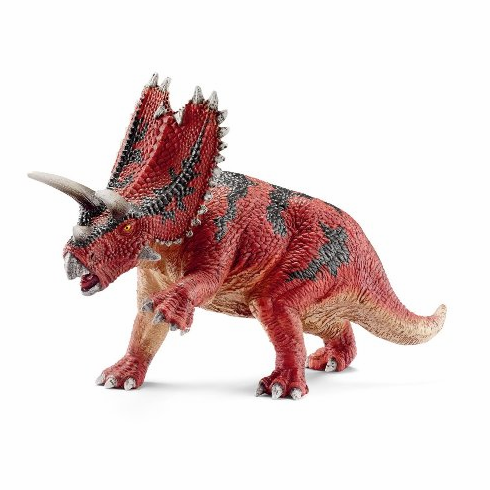 Unlike the more famous Triceratops, the Pentaceratops had a five-horned skull. Measures approximately 7 x 4 inches.